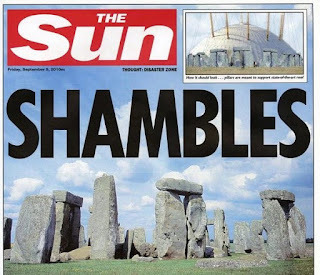 The Sun on Sunday 12/2/2017 picked up on an FOI request I had made as a friend of mine who worked at the centre has recently gone on Maternity Leave and I was in a position to ask questions she felt might compromise her position. As we enter a restaurant we can be reassured of the hygiene of the kitchen by the Food Agency’s public star ratings. But what about the water that is used for cooking, making drinks and served to drink? For the vast majority of premises this is not a problem as we can rely on the public water supply. But out in the countryside many large estates and their visitor centres as well as small remote homes use their own private water supply. There are strict rules on the testing of the water by the local authority but the results are not readily available to the staff and customers. 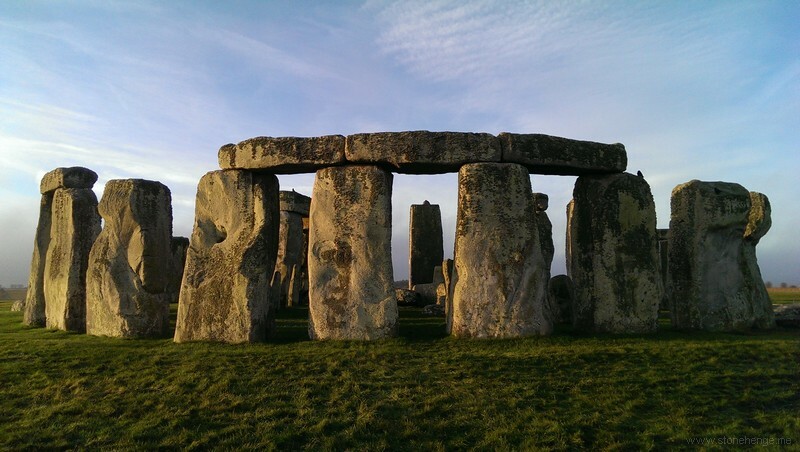 As an example the New Visitor Centre near Stonehenge has been open for over three years and uses a private borehole to supply all its water. Shortly after its opening Wiltshire Council condemned the design and implementation of the borehole as being at “High Risk” of becoming contaminated. "There are a number of areas where the supply system does not meet the guidelines set by the Drinking Water Inspectorate ie. chamber cover is not lockable, chamber walls do not extend 150mm above the surrounding ground height. no barrier to divert surface flows away from the chamber, no protective fence. These deficiencies lead to the risk rating of 'High Risk'. We strongly recommend that you take steps to address these matters." With a licenced extraction of 35m3 a day the local authority should now, under The Private Water Supplies (England) Regulations 2016, be testing the water at least twice a year for fifteen parameters. 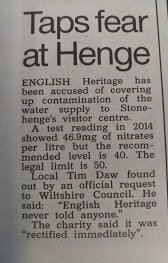 But even though four million visitors have used the facility in that time an FOI request reveals that the council only have one test on record from 2014 and that is just for nitrates, which show a worrying 46.9 mg/l where the legal limit is 50mg/l. Worrying because nitrate levels vary with the season. UPDATE 24/9/17 - I have requested updated test results and risk assessments from Wiltshire Council as it is over a year since The Private Water Supplies (England) Regulations 2016 came into force and the water should have been tested twice. 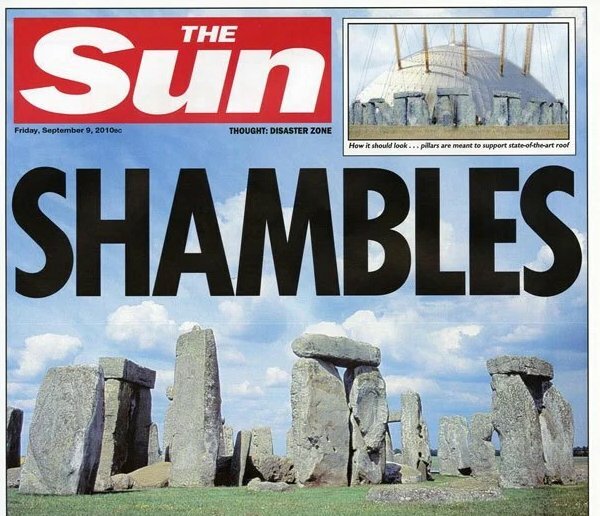 The detailed examination of the geology under the Stonehenge World Heritage Site for the tunnel plans has revealed that there are bands of radon containing phosphatic chalk underground. Is the water at the visitor centre being drawn from one of them? We, the general public, don’t know. The borehole is adjacent to the coach park, has there been contamination from surface waters? We don’t know. Are the nitrate levels safe this year for bottle-fed infants? We just don’t know. We should so we can make informed choices when we visit or work in premises supplied by private water supplies. The test results should be made public and displayed on the premises. There is no correspondence showing whether the risk concerns have been addressed. Potable water for the site is taken from an existing bore hole. There is currently an abstraction licence in place with the Environment Agency, licence number SW/043/0021/003: for the period 17th May2013 to 17 May 2025, which confirms the agreed maximum abstraction rates as being: 3m3 per hour, 35m3 per day, 2,837m3/year with a maximum continuous extraction rate of 2l/s. Following a period of monitoring of the operational site, a revised application for a small increase in peak requirements is currently awaiting approval, the application being submitted November 2015. "The proposal contains information (Appendix D) on surface water and foul water drainage which has the potential to detrimentally affect groundwater. An increase in visitor numbers and toilet facilities is proposed, which could affect compliance with existing Environmental Permits and authorisations (sewage effluent discharge EPR/DB 3593NA, ground water heating discharge EPR/YP3926GR and abstractions for potable water and groundwater heating and cooling SW/043/0021/003). In addition there is an increased pollution risk from oil spills or leaks from the proposed enlarged parking area."